Genevieve Trimble's remarkable story of Afton Villa began with a tragedy. In 1963, fire ravaged the forty-room Victorian Gothic plantation home on the historic estate, bringing to ashes over 170 years of history. Over the next decade, its once-regal serpentine entryway and carefully laid out gardens gradually deteriorated, as vines strangled the rows of azaleas that once welcomed guests. A place of enchantment crumbled toward extinction. The irreversible loss of Afton Villa's once pristine nineteenth-century gardens and carefully built stately home did, however, inspire Trimble to seize the opportunity to protect the derelict property from oblivion and she and her husband purchased the estate in 1972. This ambitious move initiated a forty-year regeneration of one of the most treasured and legendary gardens in Louisiana. Afton Villa documents Trimble's decades-long restoration project while providing a history of the original owners and paying tribute to the other people who contributed to its rebirth. 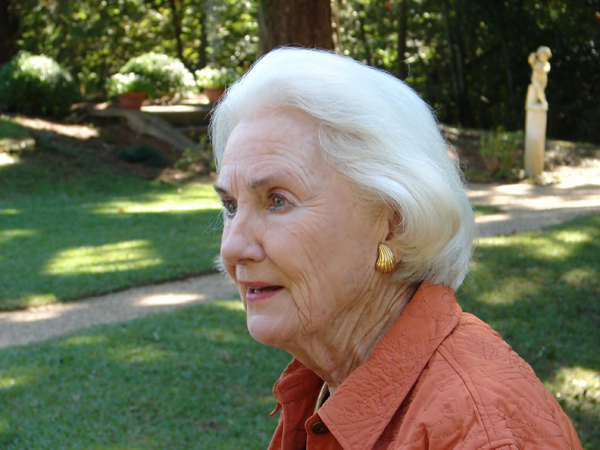 Focusing on preservation, Trimble reveals how the garden's original footprint survived as well as how she thoughtfully introduced new flora into the terraced landscape, including the foundation ruins of the house, under the guidance of landscape architect Neil G. Odenwald. With steep learning curves and devastating setbacks, including hurricane destruction, each milestone in the recovery of Afton Villa marked a triumph of collaborative will over adversity. Hundreds of visitors every year journey to St. Francisville to enjoy the result of Trimble's arduous and rewarding efforts. The moss-draped oaks welcome them to a rolling vista of daffodils, cherry trees, and a boxwood parterre as well as hundreds of other features in this thirty-five-acre garden. 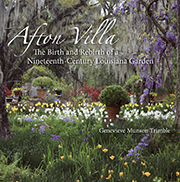 With a vivid narrative and beautiful images, Afton Villa: The Birth and Rebirth of a Nineteenth-Century Louisiana Garden captures the story of this remarkable restoration.